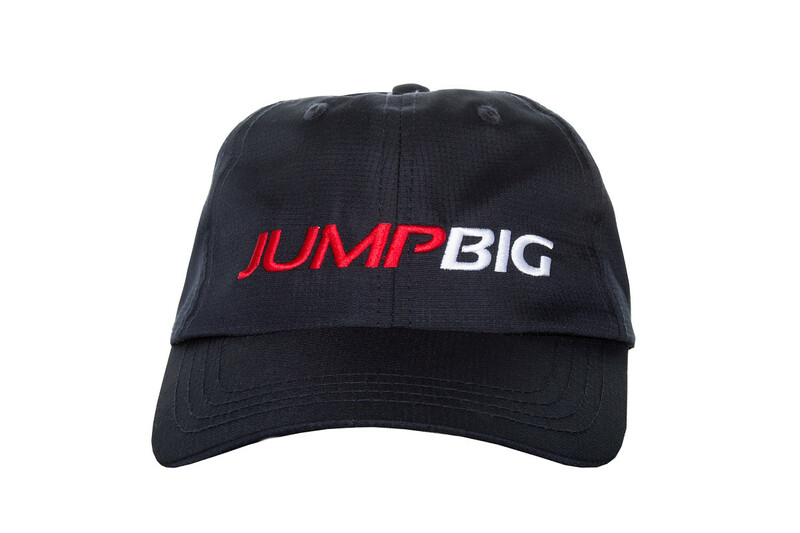 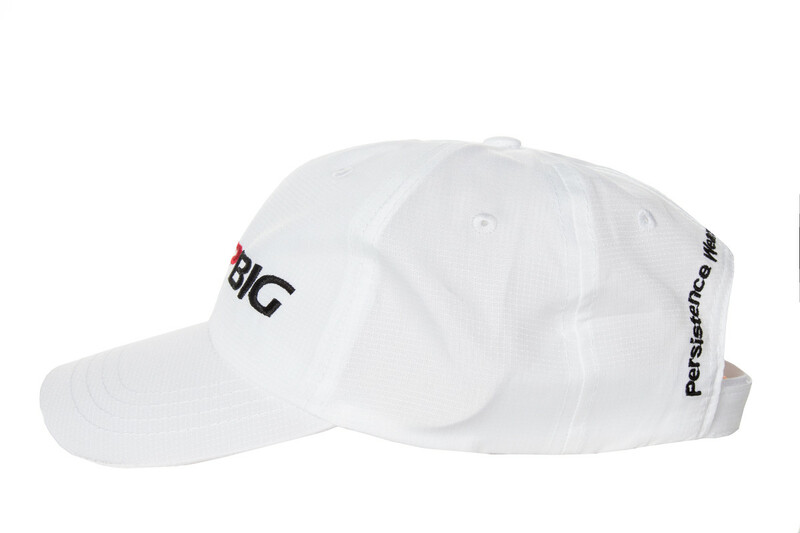 Jump big caps: Dry-fit caps one size fits all. 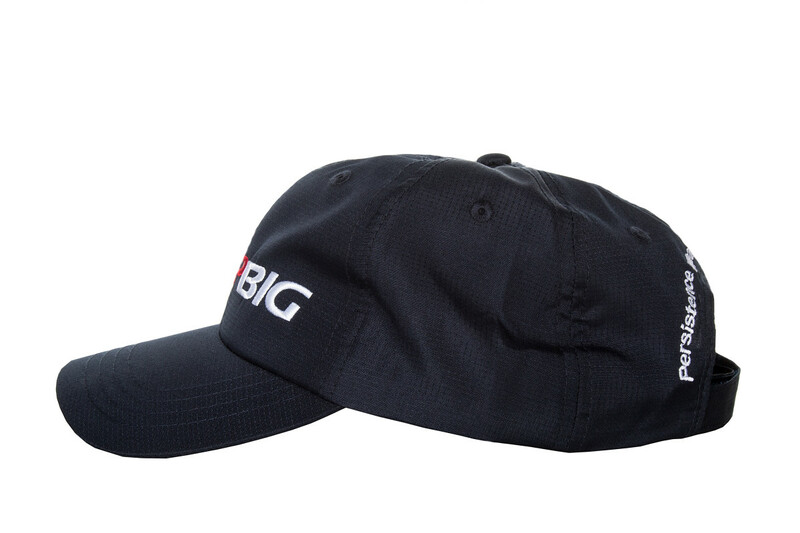 The caps are great outdoor gear for any athlete. 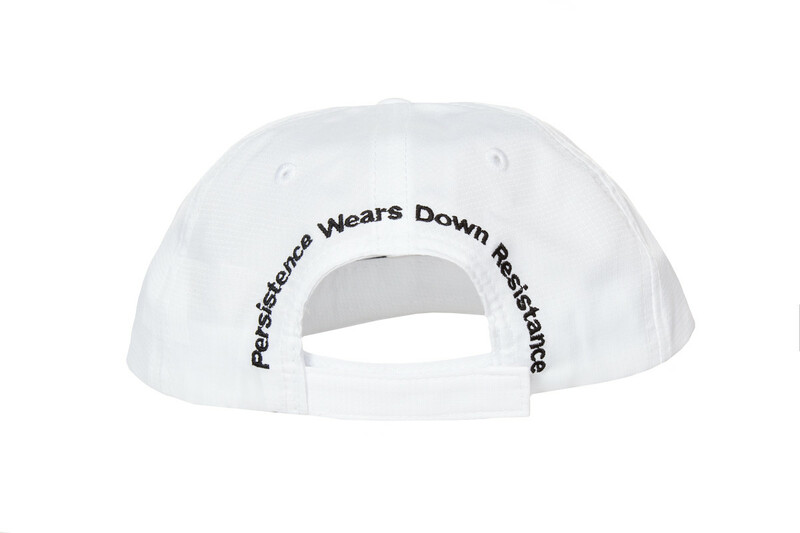 The material is high-performance, micro fiber, polyester fabric that absorbs sweat off the head As a result, Dry-fit keeps athletes cool, dry and comfortable. 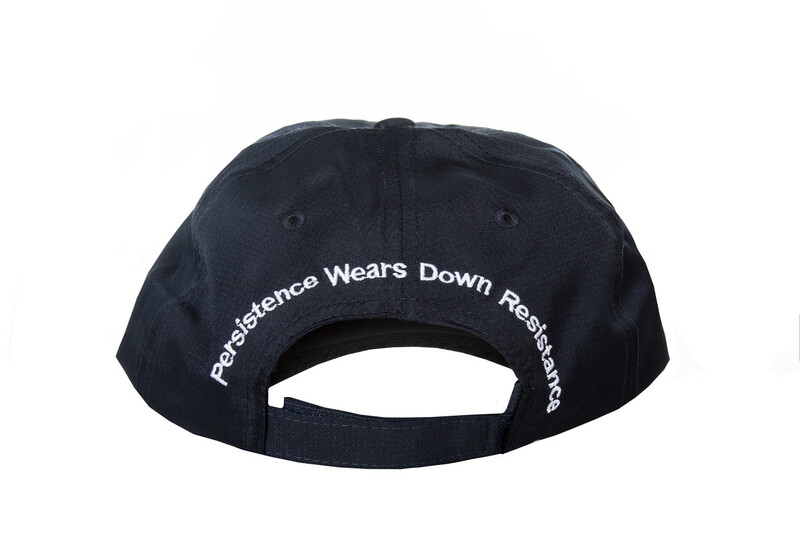 The hat is offered in colors: Black, Navy Blue and white. 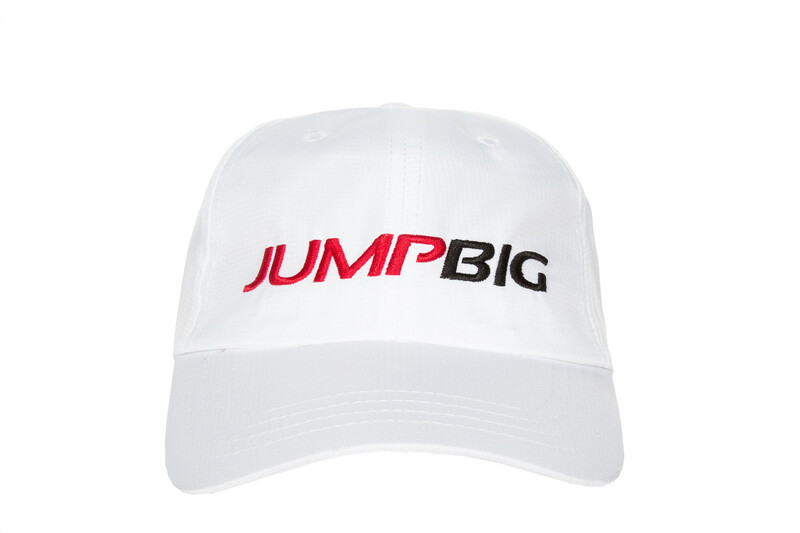 You can personalize any way you want.